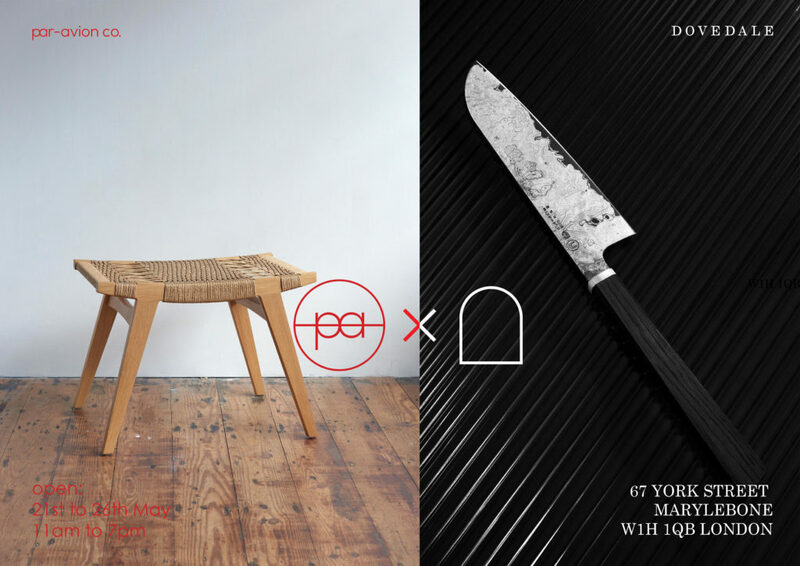 Norfolk-based contemporary furniture brand par-avion co. are joining forces with Battersea-based luxury craft brand Dovedale Design Studio in the heart of London for one whole week of events, talks, demonstrations and a pop-up display that will thrill the senses. Saturday 26th: Open at 11 am. At 5 pm there will be we a woodworking demonstration and talk until 7 pm. The talk will be about sustainability, bog oak, and material provenance.